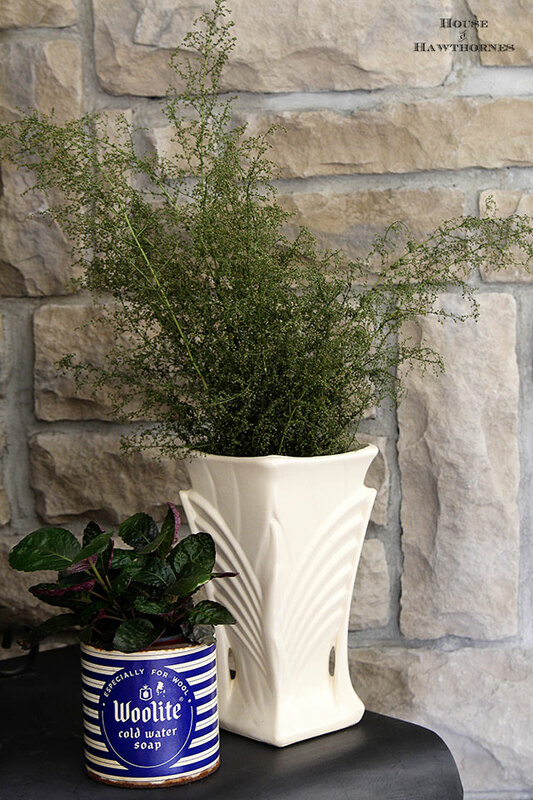 Gone are the blue country geese and the gingham curtains, the Country Living Fairs of today are chock full o’ trendy, eclectic, modern country goodness. Enough rusty bits and bobs to make the junk lover happy. Enough old stuff to make the thrift store junkie happy. Enough gears and pulleys to make the industrial lovers happy. Yep, the fairs have very much of a modern country vibe. They’re from a textile factory in Massachusetts and the paint on the top of the spool corresponded to what color thread was wound on the spools. If you’ve always wondered why some have paint on them, now you know! I grabbed this big K. Not sure if it’s from a movie theater or a grocery store? But it is pretty cool and oh so trendy right now. Personally, I think it harkens back to the Mary Tyler Moore Show days. Remember the big M she had on her wall. 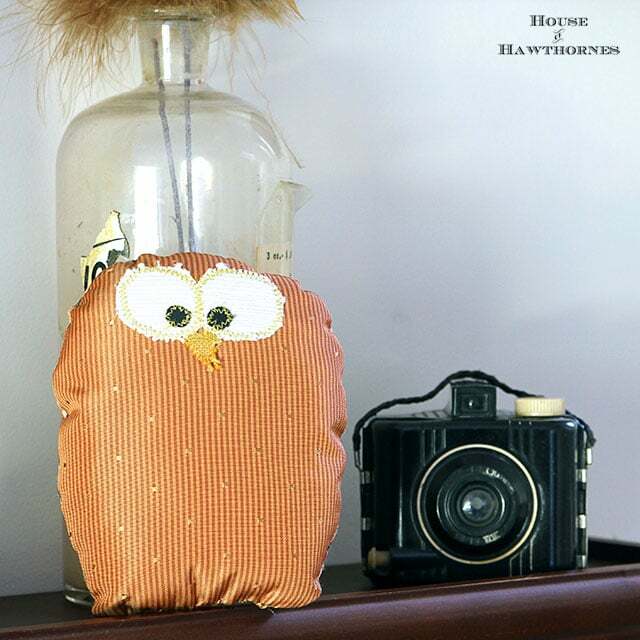 Owls continue to be all the rage this year and this one, made with vintage-styled upholstery fabric, decided to come home with me. If one knew how to sew, one could whip this out in no time. For the price, I just bought one instead. Just not having to thread my sewing machine bobbins is worth a few hundred bucks in my head. 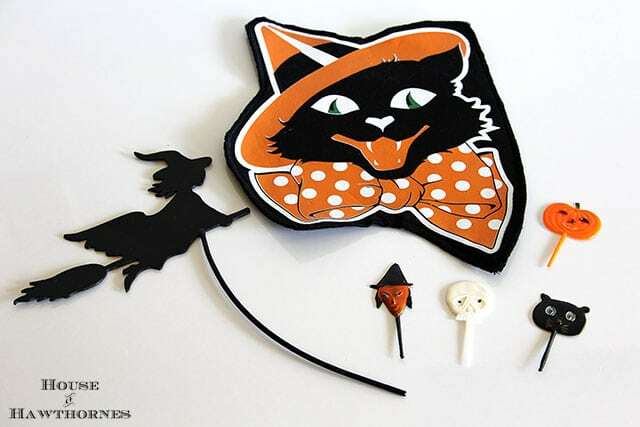 OK, so only the cupcake toppers are really vintage, but looking vintage is second best. There was lots and lots of fall decor and Halloween related stuff at the fair. What the heck is this green stuff? I bought a bunch of it at the fair, but now I can’t remember what the guy told me it was called. Sweet something, I think. Anyone? Besides a huge mound of pumpkins in the middle of the town square, there were lots of fall plants and Pinterest worthy wreaths. And my favorite category . . . 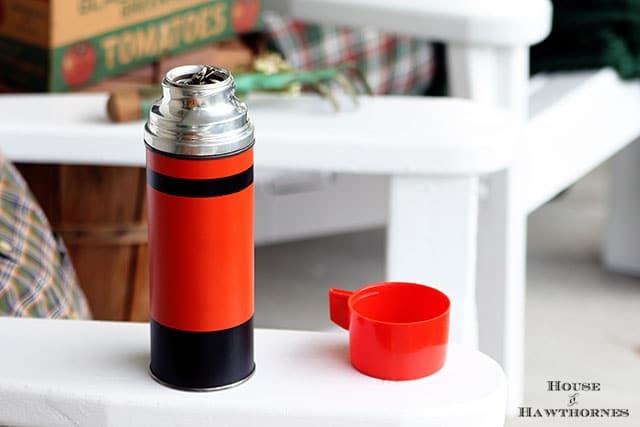 When I showed you this vintage orange and black Thermos on my Eclectic, Vintage, Farmhouse Fall Porch post last week, I mentioned it was my favorite find from the Country Living Fair. THIS is my favorite find. I think my love of lunchboxes and thermoses comes from me being a brown bagger in elementary school. I always wanted a lunchbox, but my brother and I always carried our lunches in brown paper sacks instead. I’m making up for it now! 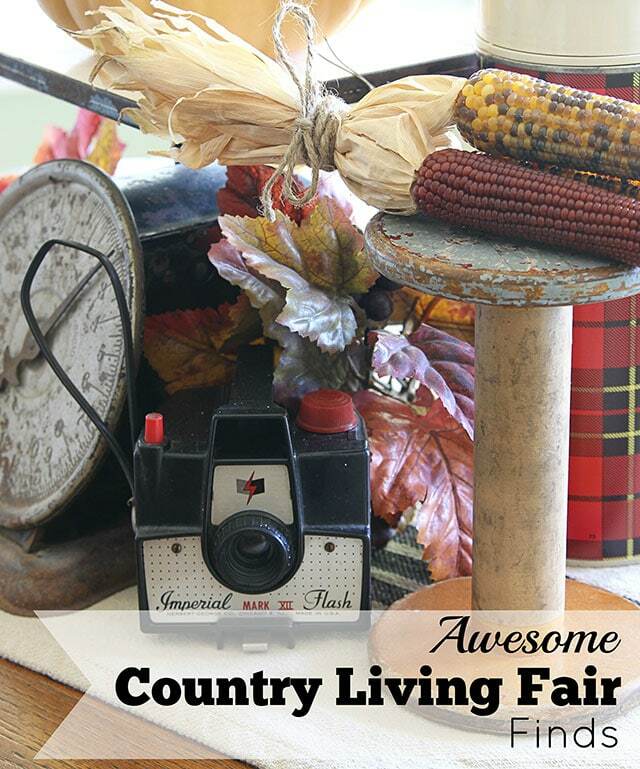 So yes, this isn’t your mama’s Country Living Fair. It was pretty darn cool and trendy and right up my alley. No blue geese in sight. Pam – Looks like you had a fun time! Thanks for sharing all of your photos with us. 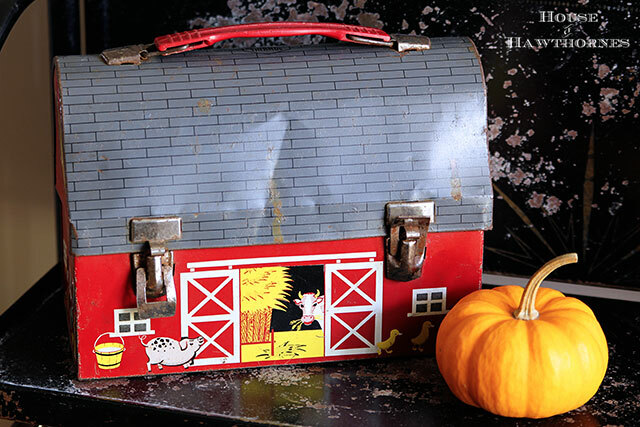 Love that barn lunchpail. So cute! It must have been fun! 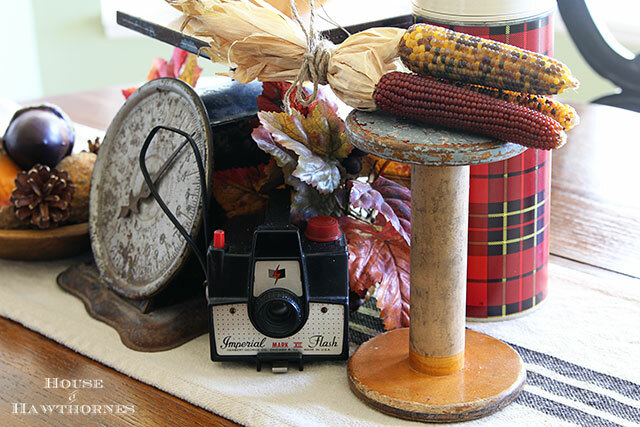 Love your finds…the lunchbox is so cute…and I didn’t know about the paint on spools! The plant is called “Sweet Annie”. It may be from the artemesia family. It is grown as an annual. It makes nice wreaths. Thank you! I knew it was Sweet something! I’d love to attend one of their fairs someday. You got some great stuff. 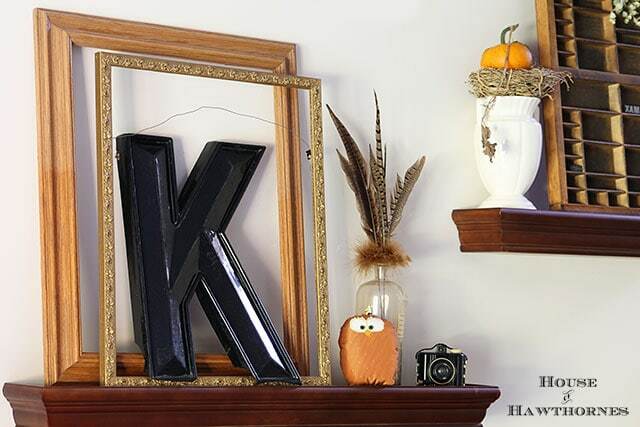 Love the K! Totally smitten with that farm lunchbox. I’m a sucker for owls too. Great treasures. Someday, I’d love to get to that event. You really did get some neat stuff. Love the owl. I love them too. so sweet. you have a nice eclectic mix of things. My brother had a lunch pail like that. I think I carried a brown sack because mom couldn’t afford 2 lunch pails. Thank goodness the geese ‘n’ gingham went elsewhere! It sounds like it would have been a great place to be! I love the lunch box. I was lucky (?) enough to come home for lunch in Elementary School, and I probably wouldn’t be caught dead using a lunch box in Jr. and Sr. High school! Now, they are really a cool thing to collect. I have several that men (grandpap) would bring to work (laboring in the steel mill or other such place). Alas, they don’t have drink containers. That lunch box is adorable! Can’t wait to see what you do with it! Yup, the green stuff is Sweet Annie and has kind of a licorice smell, at least that is what it reminds me if. We planted it one year and haven’t had to plant it since. It reseeds generously so if you plant it be on the lookout for lots of volunteers the next year. Great for wreaths and sachets. You’d be the the envy of the lunchroom carrying that barn lunchbox, Pam! So cool! I’d love to attend a CL Fair someday if they ever decide to host one in MN. Be careful when buying Sweet Annie – I bought some once at a festival and it was covered in tiny green spiders that I only noticed after I got it home and in my house. EEEEKKK They matched the plant exactly in color! Those old spools used to be easy to find. Love yours… chippy paint is always a good thing! Love the way you used your vintage camera collection in your photos!